The 74-year-old, who has given hits like Sholay, Deewar, Black, and Piku, is ahead of actors Shah Rukh Khan (27.6 million), Salman Khan (25.1 million), Aamir Khan (21.8 million), Priyanka Chopra (18.9 million) and Deepika Padukone with 20 million. On Saturday night, Amitabh expressed his excitement. “29 million on Twitter. There was time only one person saw my tweet and today 29 million! It is because of all of you!” he tweeted. He added that he was looking forward to his next milestone — 30 million followers. The Wazir actor is very active on social media platforms and uses the medium to share updates about his personal and professional lives. 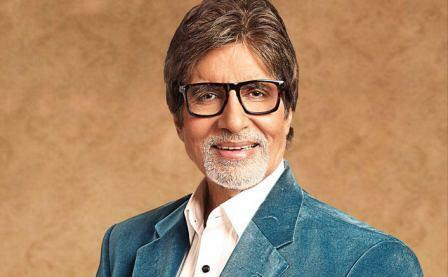 Amitabh is currently busy with two films — 102 Not Out and Thugs Of Hindostan. He will share screen space with veteran actor Rishi Kapoor in 102 Not Out. The two will be working together after over two decades. Thugs of Hindostan also stars Aamir Khan, Katrina Kaif and Dangal fame Fatima Sana Sheikh. The film is directed by Vijay Krishna Acharya. An adaptation of the 1839 novel Confessions of a Thug, the movie is slated for a 2018 Diwali release. Amitabh Bachchan was last seen in Sarkar 3 which had a lifetime collection of 9.06 crores at the box office. The film had tanked miserably at the ticket windows. His last successful film was Pink which collected 68 crores in its lifetime run at the box office. We can’t wait to see Big B sharing the silver screen with Aamir Khan and Rishi Kapoor in Thugs Of Hindostan and 102 Not Out respectively.